Hardy the Circus Clown really walks on his hands! Just wind up Hardy and he wiggles his red shoes while he happily steps forward, like a talented Hand Standing Gymnast. 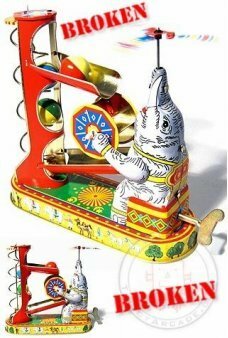 Our colorful cute clown is an adorable reproduction of the classic handstand tin toys. 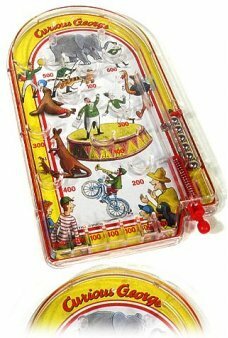 A great gift for your happy clown or toy collector! 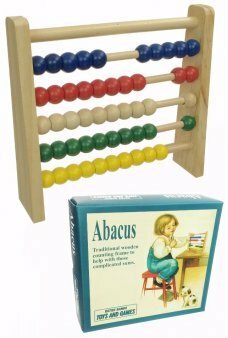 Our adorable Unicorn Jack in the Box plays "Twinkle Twinkle Little Star" and then jumps out as a hap..
Our Abacus is the tradtional wooden counting frame. Children love to move the beads to visuall..
It’s three toys in one: a futuristic ray gun, a water gun, and a candy filled toy. Our plastic Sweet.. 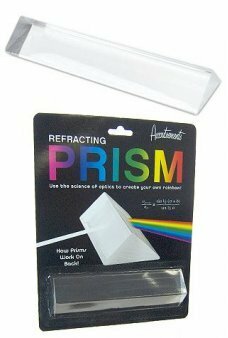 Create a rainbow of light rays with our classic Prism toy. 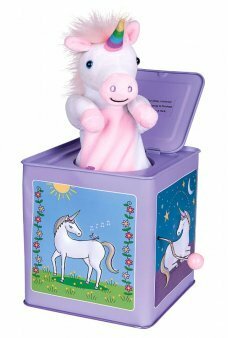 Shine white light through the clear trian..